Former Vice President Joe Biden, left, speaks at LIU Post with former Congressman Steve Israel, chairman of the Global Institute, on March 27, 2018. Photo by Bob Giglione. Former Vice President Joe Biden touched on everything from Russia interference in the presidential election to the gun control debate during a speech at LIU Post in Brookville this week. Before a packed audience that included local lawmakers at the Tilles Center for Performing Arts, Biden called on Congress to reform the nation’s gun laws in the wake of the latest mass shooting. Serving 36 years on the U.S. Senate before becoming Vice President, Biden authored the Violent Crime Control and Law Enforcement Act of 1994, which included a federal assault weapon ban that was later repealed. His appearance was hosted by the Global Institute at LIU Post, which is chaired by former Congressman Steve Israel. Moving on to the topic of global affairs, Biden explained that Russian President Vladimir Putin is doing everything in his power to dismantle liberal world order. “[Putin] is doing everything in his power to weaken NATO, undermine western democracy, and break apart the transatlantic partnership between Europe and the United States, which is the bedrock of our security,” Biden said. Biden suggested that the U.S. has a responsibility to respond and engage with Russia in order to preserve international world order. Before wrapping up his speech, Biden stated that the United States has to stand united with allies in Europe against Russia. At home, Biden also stressed the importance of “rejecting this alt-right, half-baked nationalism,” which he said doesn’t put America first, but puts it alone. Despite the pressing issues facing the nation since he left office, Biden remained upbeat. “I’m still incredibly optimistic because I know the history of the journey,” he concluded. Many Americans would agree that the most enjoyable part of their day is the moment their head hits the pillow, when they can recharge their batteries after a long, exhausting day. But for some, the promise to relieve the stress of a hard day’s work with a good night’s rest is only a dream. A third of adults in the United States get less than the recommended seven to nine hours of sleep per night, according to the Centers for Disease Control. For National Sleep Awareness Month this March, it’s important to recognize the effects of restlessness on the body, and learn what to do to get the most out of your night. That’s because stress can interfere with a person’s ability to fall asleep. Some of Dr. Edelson’s patients are advised to use “Headspace,” an app that assists with meditation to help users clear their head and prepare for a restful night’s sleep. Disruptive sleep can lead to many health risks, such as high blood pressure and heart disease. Losing sleep can be caused by many factors, and anyone can experience sleep disturbance differently. Distractions can also keep a person from falling asleep. “Proper sleep hygiene is essentially creating a sterile environment for sleep,” says Edelson. He recommends keeping the room completely dark, noise kept to a minimum, keeping electronic devices powered off, and keeping pets out of the room. Changing old habits may be the simple solution to falling asleep faster. If sleep maintenance or staying asleep is the problem, a sleep disorder may need to be ruled out. “Sleep apnea is a condition where people actually stop breathing for periods of time, or slow down their breathing to the point where their blood oxygen levels drop,” says Edelson. Due to recent advancements, testing for sleep disorders has become easier and more comfortable than before, allowing people to stay in the comfort of their own home. Those experiencing loss of sleep should consult a sleep physician to determine the cause and map out their treatment options. Known for their eclectic fund sound and incredibly passionate fan base, Lettuce has set off for their Beyond the Clouds tour and are headed for The Paramount in Huntington on March 22. Their latest album, Witches Stew, is a fresh take on contemporary jazz and experimental music, and offers a tribute to Miles Davis, one of their greatest influences. We spoke to guitarist, Adam “Shmeeans” Smirnoff, about his love for the music, his bands biggest influences, and what the future has in store for Lettuce. 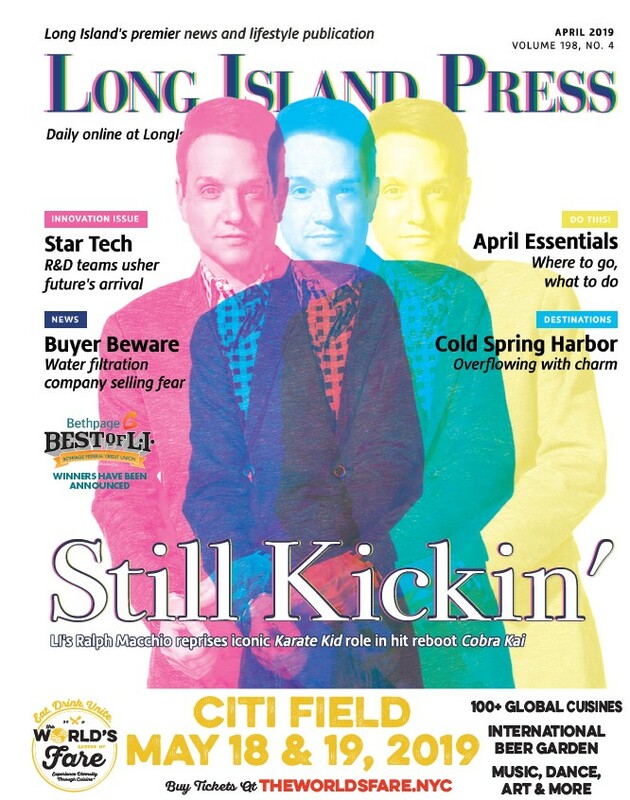 Long Island Press: You guys have been playing together for 26 years, right? Can you name some consistencies that have contributed to your success? In other words, what hasn’t changed throughout the years? AS: Our love to play with each other, our love to make music, our love to improvise, our love to explore, try and reach new places. We love the funk. LIP: So how do you see your fan base evolving as you grow as a band? Do you have any trouble appealing to a younger audience? AS: I think it’s been quite the opposite. We’ve started to appeal more to a younger audience. Some of the connections in our band have been Pretty Lights, and us doing the show with the Floozies, and us just starting to maybe get into a little bit more improvisation with our own tunes, I think we started to attract a really broad audience. I think our music really is for everyone, no ones excluded. LIP: What do you love most about your fans? AS: That they enable us to do what we love to do. Without them we couldn’t be doing this. Our fans are everything. If they didn’t love what we were passionate about, then that means that we really couldn’t exist. LIP: You guys formed in Boston, but where are you guys based out of now? AS: We’re all in different places. Some of us are in Colorado, there’s a lot of people in New Orleans, then we have Los Angeles and Portland, Maine. LIP: What are your bands influences? AS: Oh we have a lot of influences. James Brown, Parliament-Funkadelic, A Tribe Called Quest, the list can go on and on, Bootsy Collins. I believe we thank a lot of our influences on the inside of our “Rage” record. LIP: Is there a specific location that stands out as exceptionally memorable, where the crowd really surprised you guys? AS: There’s some cities that were like, really strong and always give us so much love, like New York, Chicago, and Denver. But sometimes when we’re touring and we haven’t hit places as often, and we end up in like, Huston, Texas, and I’m not sure how the crowds going to be. Then we come out, and, I just remember on this last tour that it was so poppin’ and the crowd was so lively and into it. I was like, wow, Texas is really rowdy. LIP: Who came up with the name Lettuce? LIP: What advice would you give a young musician who hopes to follow in your footsteps? AS: Don’t follow in our footsteps. Make your own! Our path isn’t necessarily going to work for anyone else, that’s why you got to find your own. And be passionate about what you do, because everything is based off of your passion. LIP: What do your future plans look like? AS: In two weeks we go back out for the second half of our Beyond The Clouds tour. And we are continuing to work on a new record. We went into the studio this past year and recorded 29 tracks, I think. So we’re making our way through them! From left: Former Oyster Bay Town Supervisor John Venditto and ex-Nassau County Executive Ed Mangano. Ex-Nassau County Executive Ed Mangano and former Oyster Bay Town Supervisor John Venditto were alternately described as scammers and victims of overzealous investigators Wednesday during opening statements of their corruption trial at Central Islip federal court. Prosecutors previewed for the jury the evidence that will be seen and testimony that will be heard, including that of their star witness, Harendra Singh, a former restaurateur at the center of the case, while defense attorneys argued that Singh’s word can’t be trusted because he struck a plea deal. Mangano was charged with giving Singh county contracts in exchange for giving Magano’s wife, Linda, a no-show job, and other favors. Linda is charged with obstruction of justice. Venditto is charged with backing Singh’s loans — used to pay for renovations to restaurants he ran in a town contract — with taxpayer money. Mangano’s lawyer, Kevin Keating, countered that Mangano and Singh were friends for decades before Mangano was elected county exec and before Singh owned a chain of restaurants. When Mangano took office, “Singh saw opportunity,” Keating said. He had expectations and believed he’d get benefits from Nassau County, but he miscalculated. He defended Linda’s no-show job by saying it was all Singh’s idea to put her on his payroll, and it’s ridiculous to think that Ed Mangano made the request. He defended Venditto by saying the former supervisor wouldn’t throw away years of hard work for discounted car rides or use of a conference room. Agnifilo said all he needs is to show proof of Venditto’s innocence is present emails exchanged between Singh and Fred May, a former deputy Oyster Bay town attorney. “Thank god for the emails,” he said. Agnifilo noted that he is there to defend Venditto only and wants to see him get acquitted, but it is not his job to defend the Manganos. “I don’t care what happens to anyone else,” Agnifilo said. He finished addressing the jury by quoting famed cosmologist Stephen Hawking, who died Wednesday. Gatz said there will be dozens of witnesses who take the stand during the eight-week-long trial, including limo drivers, servers at Singh’s restaurants, workers who installed the wood flooring that Singh paid for in Mangano’s home, the jeweler who sold Singh a watch for $7,300 that the Mangano’s gave to their son as a birthday gift, people who signed contracts, defrauded investors and others. The second witness will be May, who pleaded guilty and is cooperating for less jail time. Also testifying will be Leonard Genova, another former Oyster Bay town attorney who will be given full immunity for his cooperation. Dozens of Long Island chefs are firing up their grills for a tasting event to raise funds for the nonprofit Life’s WORC’s Family Center for Autism, which helps people with developmental disabilities. The second annual Chefs of Long Island Tasting Event, scheduled for Monday, March 12 at The Carltun in East Meadow, will be packed with supporters sampling food and beverages from more than 45 local restaurants, breweries, vineyards and caterers — all to help the agency continue its mission. He said that last year, the event raised $50,000. This year he has set a fundraising goal of $75,000. Services that Life’s WORC provides include community habilitation, customized employment, family support, and much more. The nonprofit agency has 41 homes and 12 nonresidential programs located throughout Suffolk, Nassau, Queens and Manhattan, providing support to about 2,200 individuals. Besides raising money for a good cause, the fundraiser also helps get exposure for participating chefs. Attendees can also expect to sample food from Allie’s Gluten Free Goodies, a unique and specialized bakery dedicated to providing allergen-free treats. Owner Allison Luckman plans to bring her most popular item, her vegan cookie dough bites, as well as her completely allergen-free donuts. 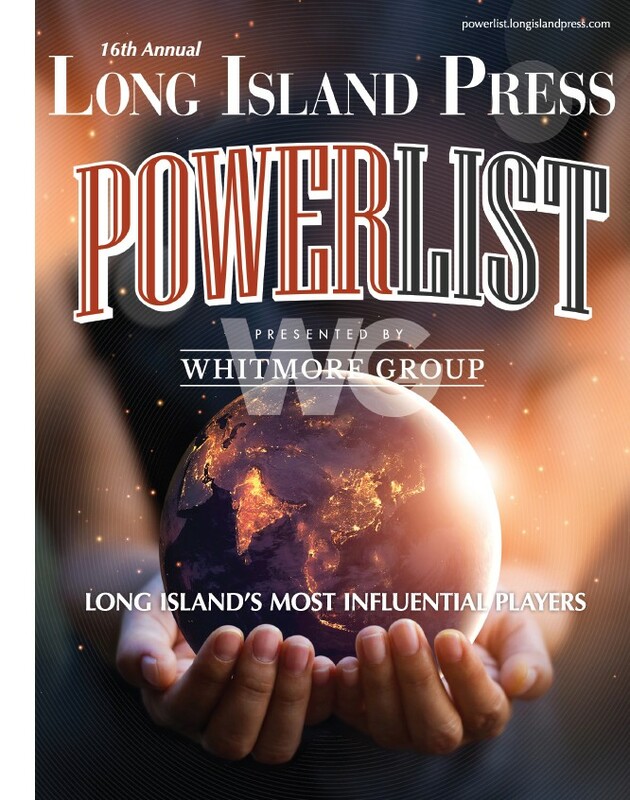 Editor’s note: Life’s WORC was founded by Long Island Press co-publisher Victoria Schneps-Yunis. Jury selection begins Monday in the federal corruption trial of former Nassau County Executive Ed Mangano and ex-Oyster Bay Town Supervisor John Venditto with opening arguments scheduled to begin the next day. Mangano’s lawyer, Kevin Keating, told Judge Joan Azrack on Thursday that important materials regarding the case, including 7,000 pages of text messages, were only turned over the night before. “We don’t cry wolf too often,” said Keating, while explaining the defense may need more time to analyze trial exhibits for the upcoming case. Despite the late turnover of materials, Judge Azrack still plans to stick to the intended schedule. Judge Azrack went over reasons to excuse potential jurors. People can be excused for reasons such as personal bias, financial hardship, or lack of understanding the principles of the justice system. More than 130 people remain possible jury candidates for trial that is expected to run eight weeks. Mangano and Venditto are charged with conspiracy to commit bribery and conspiracy to commit honest services wire fraud. Mangano’s wife, Linda, was charged with obstruction of justice. Mangano allegedly accepted bribes from restaurateur and friend, Harendra Singh, in order to secure kickbacks that included a no-show job for his wife. Venditto is accused of improperly backing loans on behalf of Singh, who was a town vendor. Singh has reportedly pleaded guilty and will testify at trial. Venditto resigned three months after he was charged. Mangano left office Dec. 31 after declining to seek a third term. Judge Sanford Berland directed Tuesday attorneys for Suffolk police to make a copy of the recording available for review in the judge’s chambers by March 19. That’s the next court date in the lawsuit filed by John Ray, a Miller Place-based attorney for the family of Shannan Gilbert, the New Jersey woman who was reported missing from Oak Beach and was found dead in 2011. “We need those tapes in order to advance our case,” Ray argued at Suffolk Supreme Court in Riverhead. Besides Gilbert’s 23-minute call in which she reportedly told a 911 operator “they’re trying to kill me,” Ray is also seeking records of 911 calls made by Brewer and two other Oak Beach residents, Barbara Brennan and Gus Coletti, on the night of Gilbert’s disappearance. Ray told the court that detectives may be trying to hide information relating to this case — an allegation that the county’s defense attorney denied. Berland also questioned whether the investigation would be compromised by the release of the tapes. “By not being the homicide detective or having that expertise, I can only rely on what the detectives are telling me,” Barraga said of her argument that the investigation would be compromised by releasing the tapes. In 2016, Gilbert’s family had a second autopsy conducted in which an independent medical examiner found that Shannan may have been victim of a homicide, although police disputed the claim. Gilbert was buried at Amityville Cemetery in 2015. Her sister, Sarra, was convicted of killing her mother, Mari, upstate last year. Related Story: Who is The Girl With The Peach Tattoo? Solidcore, the trendy new boutique fitness studio that debuted last June in Roslyn Heights, is planning to open new location in Manhattan amid the Washington D.C.-based company’s continuing national expansion. Founded by entrepreneur and motivational speaker Anne Mahlum, Solidcore offers a 50-minute Pilates-style class like no other. By using spring cables, Solidcore allows members a “high intensity, low-impact, slow and controlled resistance training” to make the most of their workout by focusing on working every muscle at a slow pace, according to Mahlum. She said she got the idea after completing 11 marathons. Mahlum explained that she wasn’t receiving satisfactory results for the time she put into her exercises. In 2013, Mahlum opened her first Solidcore studio in the nation’s capital, where former First Lady Michelle Obama became a fan. The positive feedback led Mahlum to open her second studio just three months later, and her third studio just two months after that. Currently, Solidcore has over 30 locations across the nation, with plans to have 50 studios open by the end of this year. She expects to see 100 studios open by the end of 2019, and even has plans for international locations. Solidcore’s tagline says it all: Helping people create the strongest versions of themselves. Their success is entirely results based. Mahlum said Solidcore is unlike other fitness classes. “We always say that how hard you work in the studio is a direct representation to how hard you work outside the studio,” said Mahlum. Mahlum got the idea while taking Pilates classes in New York, her home at the time, when she realized she could improve the highly sought after workout system. “I can create my own concept and build a whole community around making yourself strong,” she recalled. Mahlum explained why resistance training is the key to weight loss over cardio. While members are sure to burn calories during the class, most of the lean-muscle building happens 24-hours after Solidcore. Cardio has very little impact on muscle toning “because you’re not acclimating your muscles properly,” said Mahlum. Since your muscles are not used to this type of workout, Mahlum warns that soreness will be evident for two to three days following this exercise. She suggests that members return to Solidcore within seven days of their workout to resume progress.